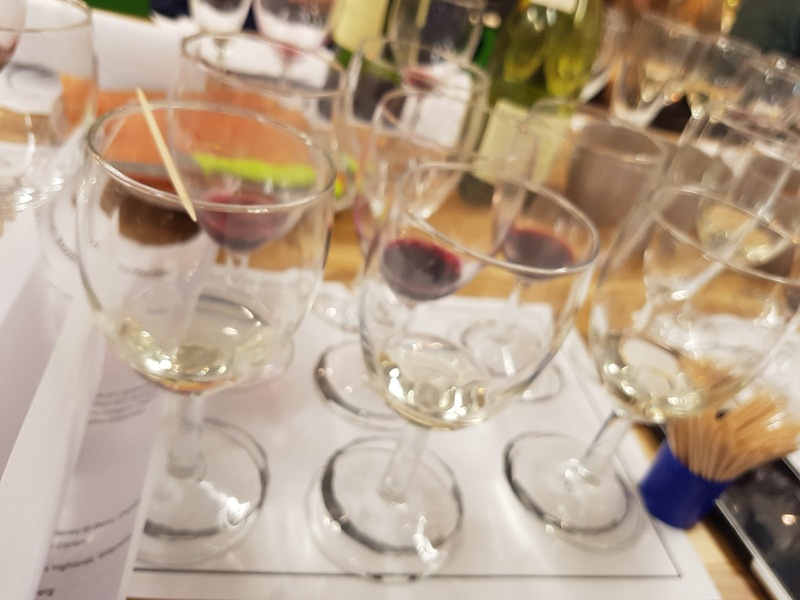 I recently attended my first wine tasting which was organised by my private Somelier. We Definition wines from Majestic which it selects as reference examples of different wines. We also learned how to pair food, and my somelier won the competition to match food and wines. What great taste! Sauvingnon Blanc grown on Granite. Marlbrough NZ heavy yield fast ripening. Acidic. Some regions are full bodied like Chili. This is light, fresh and green, almost tastes like nettles. Sauvingnon Blanc. San Cere. Loire. FR. darker and heavier flavored due to the soil. Bolder than the first sauvingnon Blanc due to the chalk soil. Easy drinking and balanced with less acidity. Chardonnay. Chablis, Eon, France. Un-oaken. Stored in stainless steel temporarily before bottling. The oak barrelling would normally reduce the acidity. Light but zesty with more body than the sauvingnon Blancs. Definition prosecco. Very light and medium dry, excellent with melon and prosciutto. peppery. Some people say it is like grape juice or raisins. I like it. Malbec Argentina. (Mendoza). Very full bodied. Smoky blackberry. Great with a steak frites. Tempranillo Rioja ES. A blend of different vineyards. The grand reserve we tried was the older with around 36 months of oak aging. This was the last and heaviest, DOCG. I'm looking forward to the next level of training!